Waunakee has provided home repair and remodeling services for me on three separate occasions, and I have consistently been pleased. I plan to use Waunakee Remodeling again if the need arises. 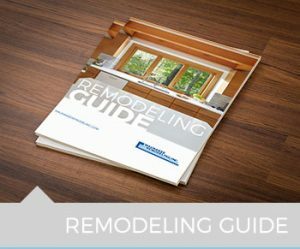 We have replaced over half of the windows in our house with Renewal by Andersen through Waunakee Remodeling over the last three years and we love them. We have been very impressed by the salespeople, planners and installers. We had our windows replaced last summer and were very pleased with the product and the workmanship. The sales people, “planners” and the installers were all very professional and efficient. We plan to do some work in our kitchen and will call Waunakee Remodeling for an estimate. Waunakee Remodeling replaced 12 windows in our home. The salespeople, were very attentive, making sure colors matched, and measurements were accurate. The work team was diligent, hard working, and very precise in putting the windows in correctly. The end result are beautiful windows. I’m looking forward to see results in the energy bill. I contacted Waunakee Remodeling based on a recommendation and am very happy with the work they did. All the staff we met were extremely kind, helpful and accommodating. They gave us accurate estimates and timelines and left us with a great product! We would defiantly use to Waunakee Remodeling again. We had 5 windows replaced. Our installer was Devin and he did an excellent job installing the windows. He was pleasant to talk to and got the job done in a timely fashion considering he was working alone. I told him our next project would be a front door and Devin said to be sure to call when we were ready. We had a good experience with Waunakee Remodeling when getting all of our windows replaced last month. We hit a few bumps but they were always there and ready to take care of any issues that we had. They were ready to please and make things right as promised. The whole experience was excellent. After signing the contract it took a while for the install but that was understandable as you are busy. Your installers, Kyle and Josh, for two young men, had an excellent work ethic, were polite and personal and did a great job. I would recommend Waunakee Remodeling! The crew was very professional and efficient. They took advantage of a week of good weather and got our siding job done from start to finish. They took extra care to replace our railings, house numbers and mailbox the way we wanted them. Yesterday a two man Waunakee Remodeling crew replaced seven windows in our home. They arrived at the scheduled time, were very polite, very organized and very professional. When they had completed the installation they reviewed the open, and closing features for cleaning. We are very pleased and confident we have made right choice in product and company for our window replacement project.